This book is a complete package for you to build real-time web applications. You will build an end-to-end social networking web application from development to production with Angular as the frontend and Firebase as the backend. You will create an application called Friends with authentication, friends, and chat features. During the process, you’ll use Firebase authentication to register new users and Firebase database to store your extra user data. You’ll take a look at how to store and retrieve your user's images from Firebase storage. Then, you’ll create a real-time chat module with the Firebase database. Next, you’ll secure your database using Firebase security, make your application live with Firebase hosting, and develop your application with analytics. Moving on, you’ll take a look at how to create web pages using bootstrap with HTML, CSS, and TypeScript. 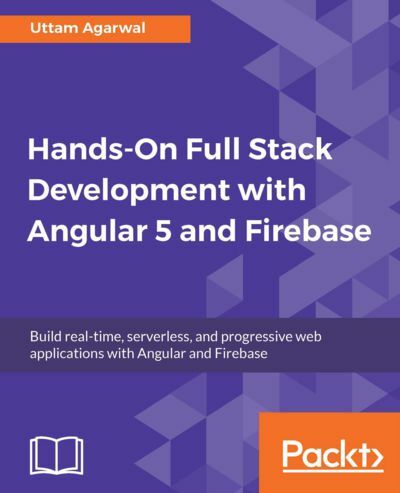 You will use the angularfire2 library API in Angular services to interact with Firebase and write unit tests using the Jasmine framework that will help you to write a production-ready application. You’ll also discover various debugging techniques to troubleshoot any bug in your application. Finally, you’ll make your application Progressive Web Applications compliant. By the end of this book, you’ll be able to confidently build any complex application.